Jawa bikes price starts at Rs. 1.55 lakh for the cheapest bike 42 and goes up to Rs. 1.73 lakh for the top model Jawa Jawa. Jawa offers 2 new bike models in India. 42 (Rs. 1.55 lakh), Jawa (Rs. 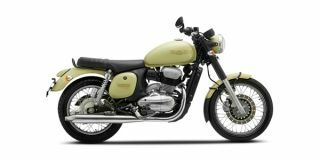 1.64 lakh) and are among the popular bikes from Jawa. In the year 2019/2020, Jawa is going to launch 1 new	models in India. Select a Jawa bike to know the latest offers in your city, prices, variants, specifications, pictures, mileage and reviews. Q. In bhopal no dealership available if purchased then what about service where will I get service? Q. Can we change the silenser in Jawa bike? Q. Which is better to buy Jawa ABS or 350 Classic ABS? Q. For long Drive Which one is good JAWA or Royal Enfield Thunderbird? Q. Is there any pillion seating support available, what is the top speed in Jawa 42? How is the fuel consumption in city?